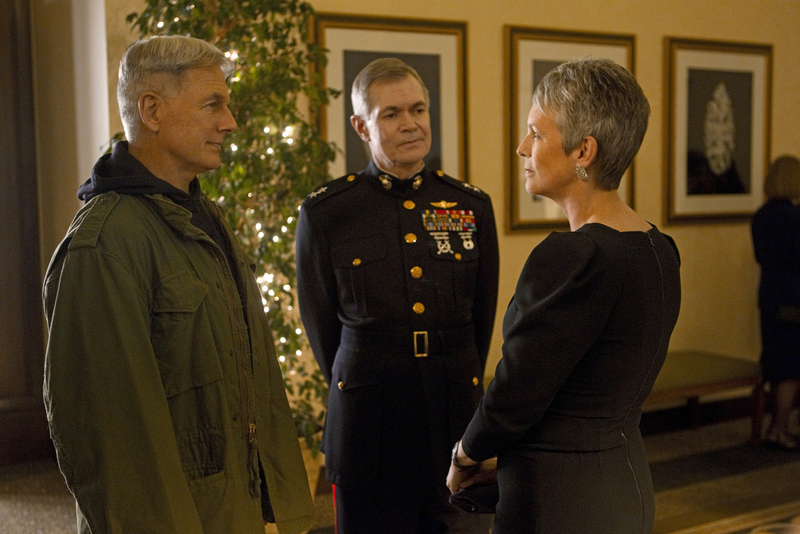 When a high-level security Navy reservist is found dead, Gibbs (Mark Harmon, left) goes face-to-face with Dr. Samantha Ryan (Jamie Lee Curtis, right) of the PsyOps Division to uncover the truth behind the potential suicide on NCIS. Also pictured: Robert Craighead. Photo: Monty Brinton/ CBS ©2012 CBS Broadcasting, Inc. All Rights Reserved.